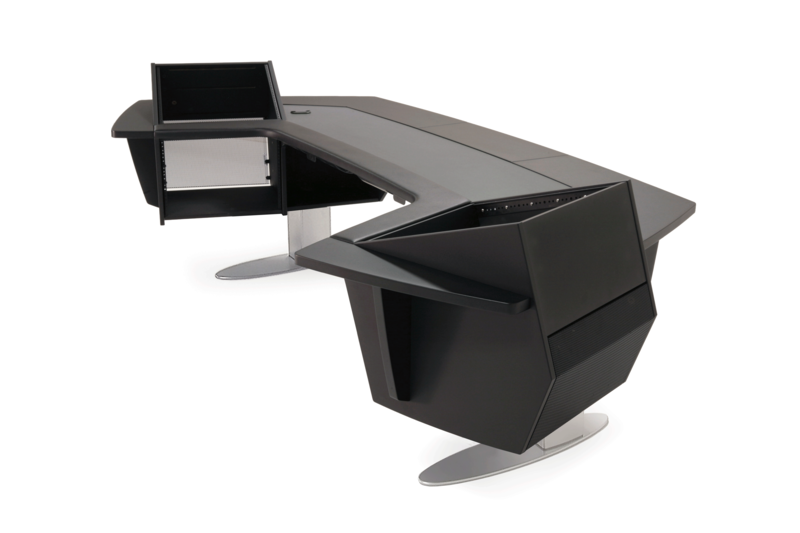 Aura.520S personal workstation has redefined and raised expectations for personal workstations. 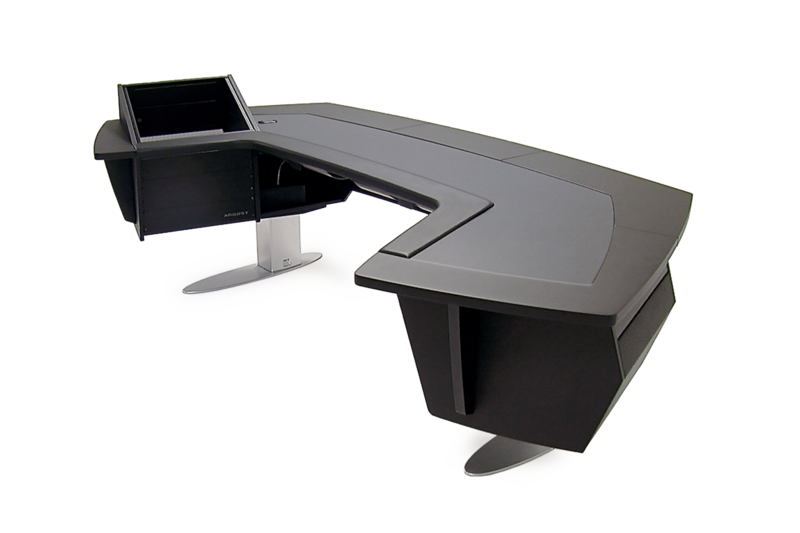 AURA.520S creates the ultimate environment for screen based activity and puts everything at your fingertips in one sleek, functional, wrap-around workstation. 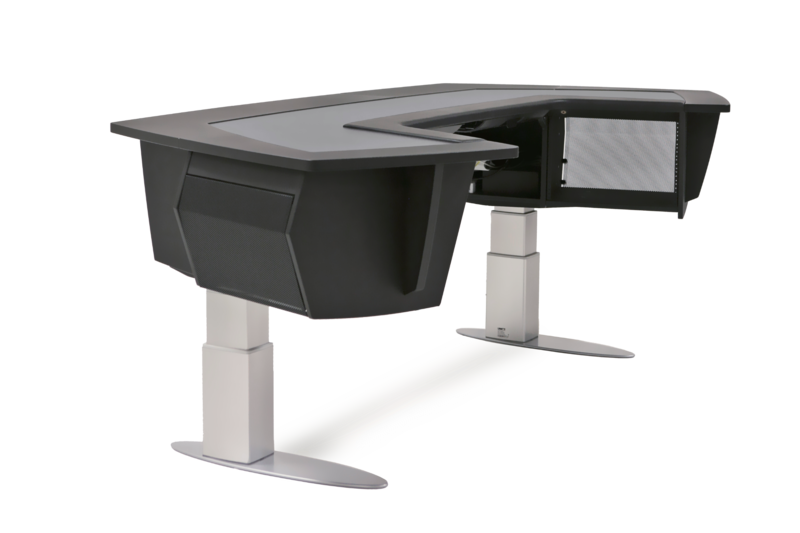 Now, Aura 520S is available as a Sit-Stand workstation with motorized height adjustment. 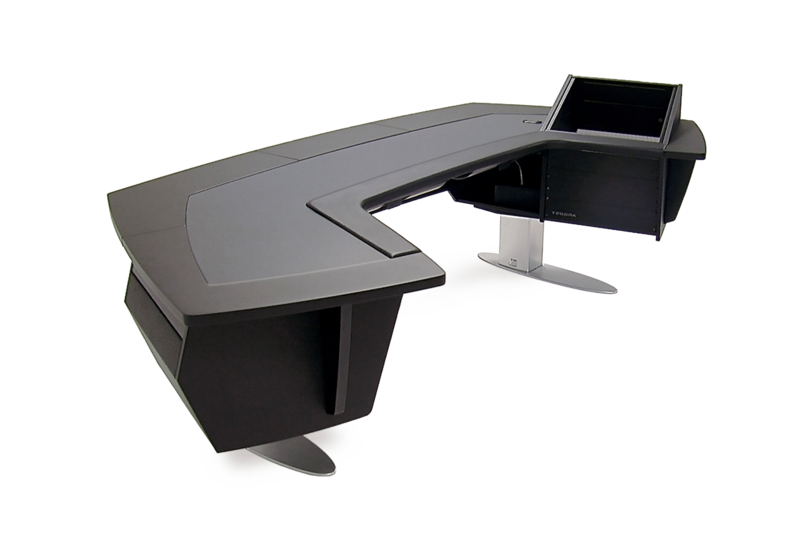 This "N" model features a clean surface (no upper racks) to maximize desk space. Two 7 RU Space Racks are integrated into the left and right 'wings' of every configuration. Ships in 9-12 business days. This "L" model features one 11 RU Space Rack Module on the Left side allowing you additional rack space for critical equipment to be at your fingertips. This "R" model features one 11 RU Space Rack Module on the Right side allowing you additional rack space for critical equipment to be at your fingertips. The "LR" model features two 11 RU Space Rack Modules allowing maximum amount of available rack spaces.